The following charts are available in X_STUDY. 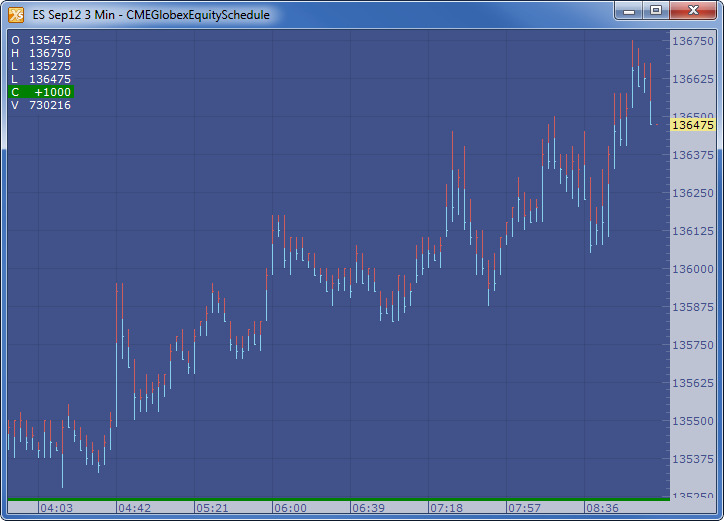 All of the charts update dynamically with every transaction. Shows the Open, High, Low, Close for specified roll-up period. The top of a line indicates the highest trade that occurred during the roll-up period. 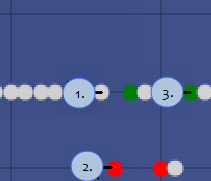 A dash on the left side of a line indicates the open at the start of the roll-up period. A dash on the right side of a line indicates the close at the end of the roll-up period. A dash with no vertical line indicates no movement during the roll-up period. The bottom of a line indicates the lowest trade that occurred during the roll-up period. Shows the High, Low, Close for specified roll-up period. Shows the Close for specified roll-up period. Each dot indicates the closing price at the end of the roll-up. 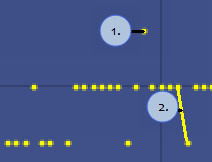 The line version of this chart, connects the dots to show movement. Shows the Open, High, Low, Close for specified roll-up period. The candlesticks are comprised of color-coded bodies to show upward or downward movement and tails to show highs and lows. A line extending from the body indicates a High or Low different from the open or close. Line with no candlestick indicates the same open and close with a different high or low. Dash with no line indicates no movement. A tail extending from the body indicates a High or Low different from the open or close. Displays a point for each transaction. There is no roll-up period, so the time axis indicates the time of each trade. Tick charts can be displayed as a Dot chart or a Line chart. 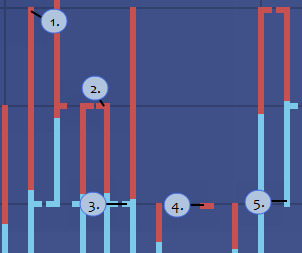 Tick charts do not have roll-up times and do not display historical data. Every dot indicates a transaction. Red dots (or lines in a line version of the chart) indicate downward movement from one tick to the next. Green dots (or lines in a line version of the chart) indicate upward movement from one tick to the next. Displays the distribution of price over time. 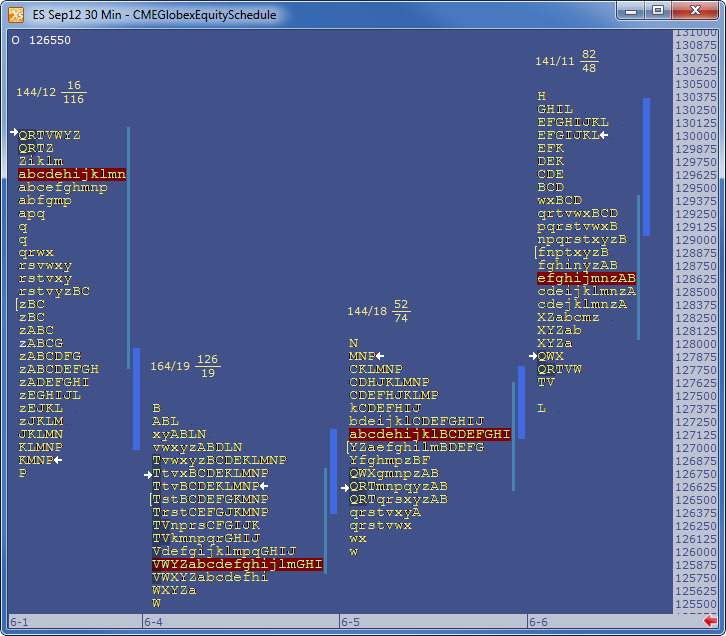 Includes the Initial Balance Range, opening price, a mid-point marker, a current price marker, the Time Price Area (TPA letters) value area, and the Tick Volume Distribution. The amount of letters within the Time Price Area (TPA). The amount of letters at the point of control (POC). The amount of letters above the point of control (POC). 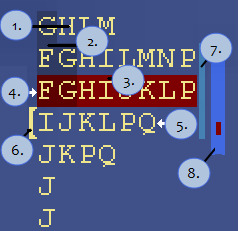 The amount of letters below the point of control (POC). Letters indicate Time Price Area (TPA). 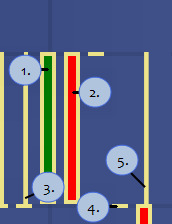 The vertical shade (dark blue) indicates the Initial Balance Range, which is the first two TPAs of the day. The horizontal (scarlet) shade indicates the point of control (POC), which is the largest number of TPAs for the distribution. Arrow pointing to the right indicates the open. 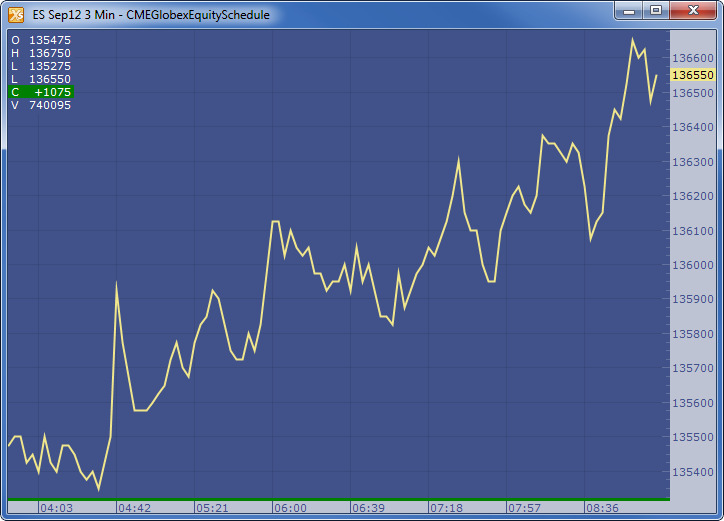 This is the first actual traded price, not the last session's close. 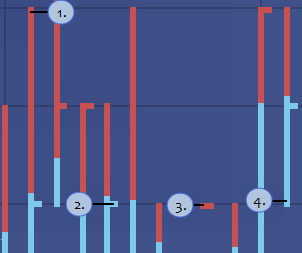 Arrow pointing to the left indicates the last traded price (LTP) of the distribution. 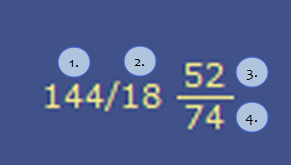 Bracket indicates midpoint during the distribution. The thin blue line indicates the TPA Value Area, which is where 70% of the TPAs occurred. 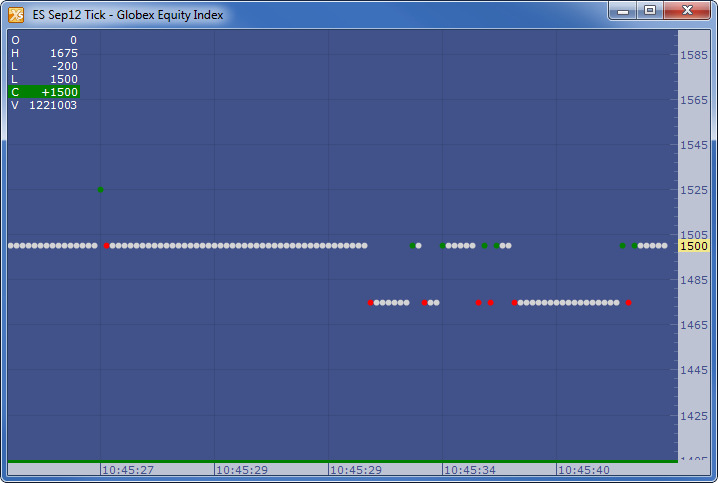 The thick blue line indicates the Volume Value Area, which is where 70% of the volume for the distribution occurred. In X_STUDY 7.8.1 and higher, the red dot indicates the volume point of control. Note: The colors in this example are customizable using the Properties option on the Price Distribution Context Menu. 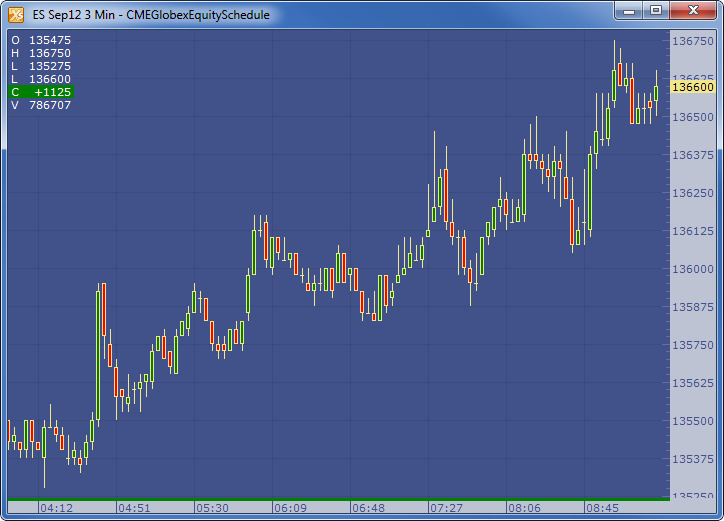 Time Price Area (TPA) letters are assigned in 30 minute periods. They are plotted using the letter that is in progress at the beginning of each 30 minute period. Note: With focus on the chart, you can change the time intervals by typing a number (1 - 1440 minutes) just like any other chart type. When enabled, the TPA data window appears at the bottom of the screen and can display the following volume distribution information. TPH (Time Price High): Highest price of the Value Area - 70% indicator. TPL (Time Price Low): Lowest price of the Value Area - 70% indicator. 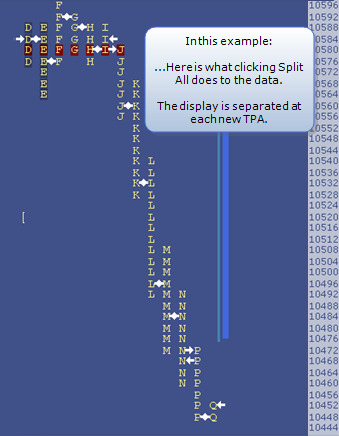 TPA: Counts above and below the cursor. If Display Volume or Display Tick Volume are enabled, the second and third boxes show % of volume at price level to the total volume. The value area is calculated by first identifying the price with the greatest volume. Using this, the volume of the two adjacent prices above are summed and the volume of the two adjacent prices below are summed. These totaled volumes are then compared and the larger of the two is added to the value area. This process continues until 70 percent of the volume is contained within the value area. Value Area can be calculated using either the actual volume at price numbers or approximated by using TPA letter counts at price levels. Note: X_STUDY allows you to customize the total value area cutoff percentage within the Technical Indicator Dialog Box. 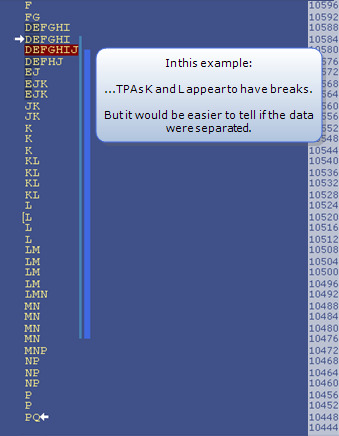 Splits separate each TPA into one column so you can better view the distributions and breaks. 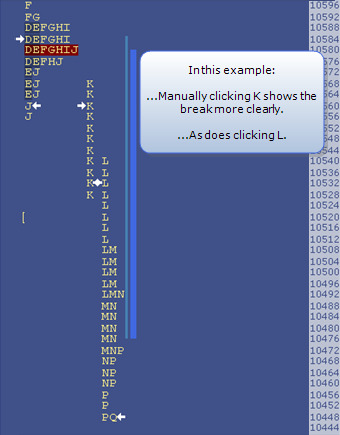 The following examples demonstrate how the Split commands in the Price Distribution context menu work. Note: X_STUDY 7.8.1 and higher now allow users to “regroup” or “unsplit” a single TPA simply by clicking on a letter that is already split.